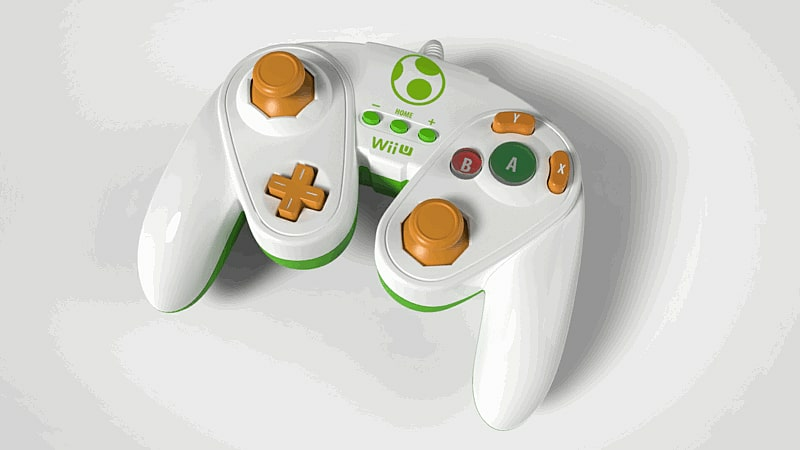 Super Smash Bros Yoshi Gamecube Controller For Wii U is a Gamecube inspired Classic Controller Pro for the Wii U. 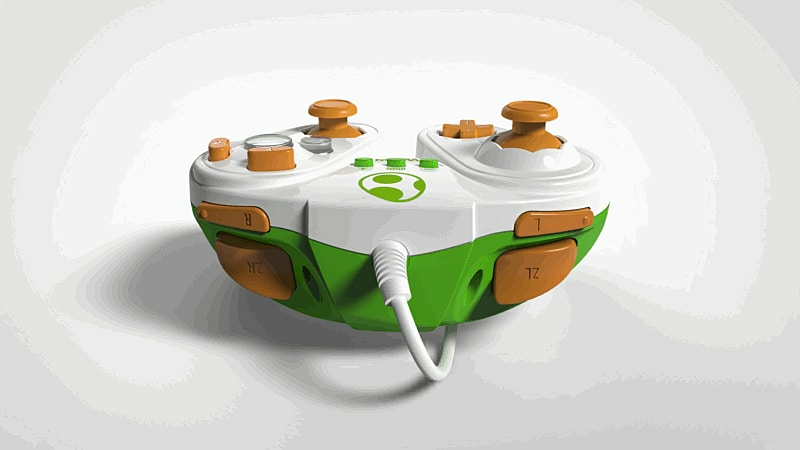 Works perfectly with Super Smash Bros Wii U. 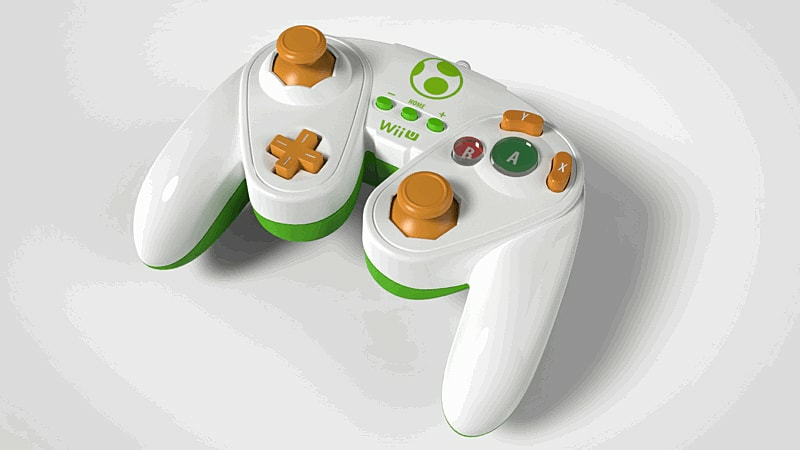 A Classic Controller Pro for the Nintendo Wii U inspired by the original Gamecube Controller. 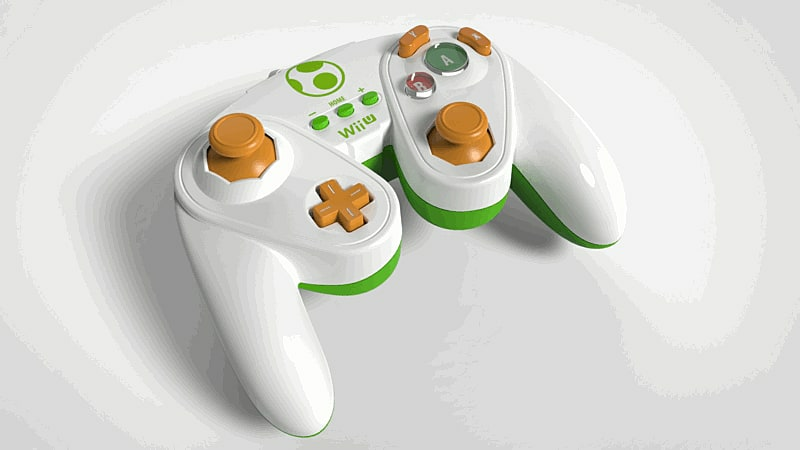 The Wired Fight Pad is virtually wireless as it plugs directly into the Wii Remote Connector Port. 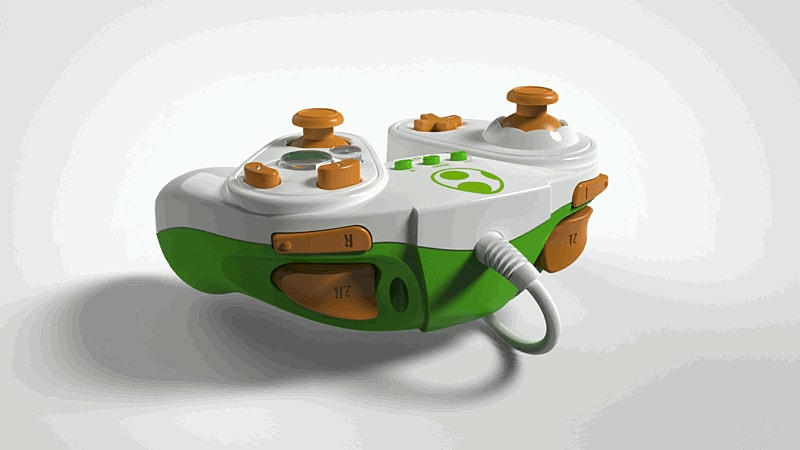 Players can use the Wired Fight Pad for Wii/Wii U games that support the Classic Controller, the Classic Controller Pro, as well as Nintendo Virtual Console games.